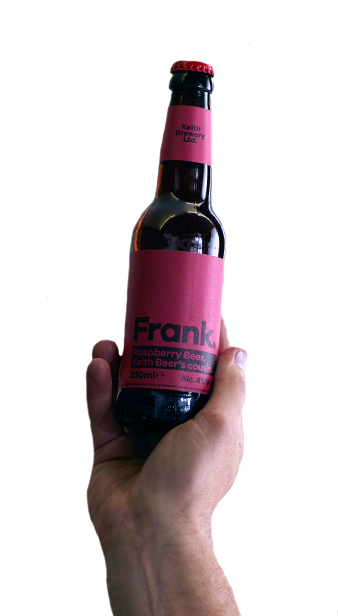 Frank - Keith Brewery Ltd.
A crisp light beer blended with pure raspberry for a fusion of flavours that’s both light and refreshing but moody and intense at the same time. Tell you what, why don’t we shut up while you go find a bottle opener? Ingredients: Water, Barley, Wheat, Raspberries, Hops and Yeast.